Short prayer for sleeping at night. gives us a good night. and for being good to your children. and have a quiet night. 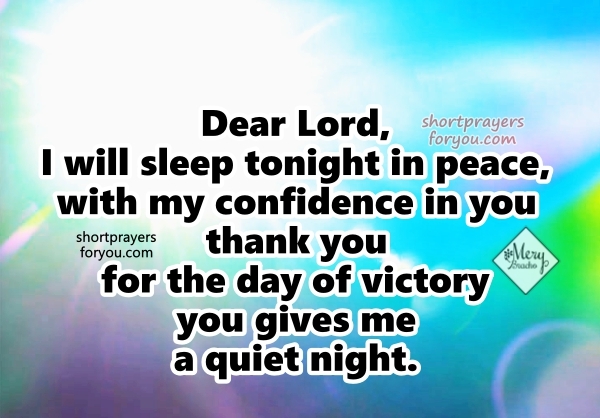 Good night prayer, christian quotes before going to bed, protection prayer by Mery Bracho.